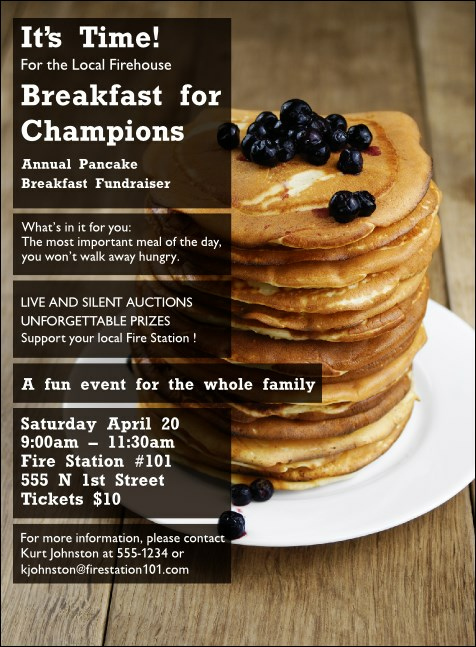 If you're throwing a family-friendly, community-oriented fundraiser, send out the Pancake Breakfast Invitation in advance. A wooden table holds a stack of fluffy cakes, with yummy blueberries on top. Fill in your event information into the template with 21 generous lines. Your guests will leave with full bellies and full hearts! Get the RSVPs you need with the right invitation from TicketRiver.com.au.